Since we've been traveling, I thought it would be a fun time to share my go-to travel look. Whether spending hours in the car or traveling in the airport, I think it is always a good idea to bring a denim jacket along for the ride, just in case it gets chilly. I get so much wear out of my denim jacket, and it's definitely a piece I couldn't do without. I also always bring Madeline's denim jacket along for her. Comfortable shoes are also a must-have when traveling. I absolutely love these See by Chloe espadrilles. They're comfortable and oh so cute. I love the fringe. There's also a very similar version that's much more affordable (see here). But these are definitely one of my favorite pairs that I've purchased for spring. I also have to mention my ruffle-front cami. Isn't it the cutest?! It's a crinkle material, so it doesn't wrinkle...so perfect for traveling or packing along in your luggage. It's only $32 and is sooo perfect for spring and summer. It will be so cute paired with jean shorts as well. An overall dress is also the perfect travel piece for kids, if you ask me. I absolutely love this darling little pink one for Madeline. And as I mentioned earlier, her jean jacket always comes along with us as well just in case the car gets chilly. She is so excited to be in Charleston as well. She loves seeing the horses and we usually end up walking by the fire department to see the firetrucks multiple times haha. Last year she got to sit in the truck four times within the three days we were here! Well, that's about it for today! I hope y'all have a great Thursday. What's your go-to travel look? I have also mentioned on here how much I absolutely adore eyelet and am thrilled it has become a trend. Seeing eyelet everywhere makes me so happy. I've mentioned my love for these wedges before, but they are amazing and most definitely my favorite pair. I love how the eyelet detail adds so much to any look that I wear them with. They are easily a dressy shoe, but with the white "sneaker" type sole, they can easily add a casual vibe, which I love! If you don't want the wedge, they also come in an espadrille style. And speaking of eyelet, of course I love Madeline's little eyelet detail dress. Old Navy has the cutest pieces right now! I hope y'all have had a great week. What do y'all have planned for this weekend? Anything exciting? I have a weekend packed full of crafting and lots of school work. Madeline's birthday is just two weeks away, and all I have to do before then has me feeling quite overwhelmed. We'll be out of town most of next week, so I'm definitely cutting it close. I'm basically swimming in a sea of tulle haha. The good news is that Madeline is my little helper and is excited to help me with crafting everything for her party. We will be making a day out of it tomorrow :) Wish us look! We also plan to color plastic Easter eggs (something she has been asking over and over to do!). Thanks so much for stopping by! Have a great weekend, y'all! Happy Wednesday, y'all! I hope y'all are having a great week so far. Sorry I have been so behind on posting...this week has been crazy, to say the least. 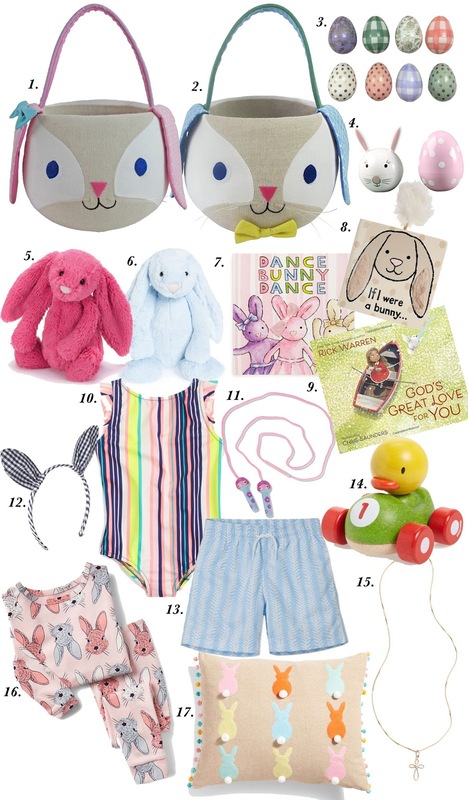 Anyways, I thought it would be so fun to continue sharing my favorite items for spring, based on categories. Last week I shared by favorite shoes for spring and summer, and this week I'm sharing the best bags! 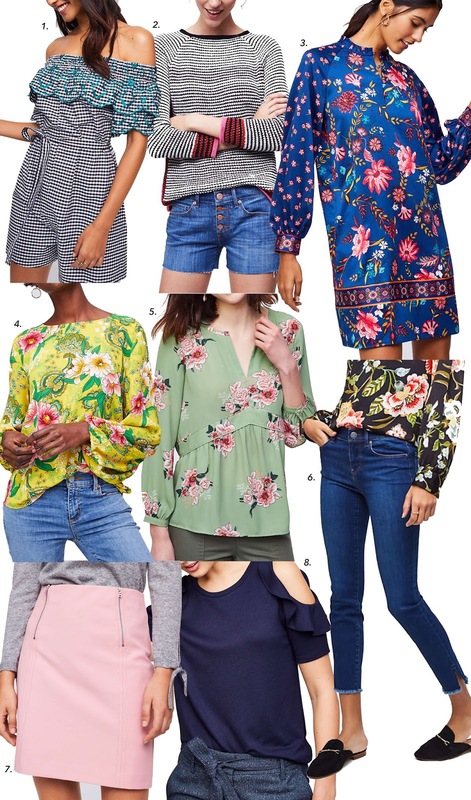 I was originally going to share one "favorite things for spring post" but with there being so many adorable pieces out right now, I decided to break it all into individual categories. Let's get started! If you picked up on one of the season's hottest trends from what I've pictured above, then you know that straw bags are all the craze. And I am totally alright with that! I have a difficult time resisting a fun straw bag. My love for them began with the Clare Vivier Alice tote (if you've been following me over the past year, then you know I carried it a ton last year!). Being the popular bag it is, it's back and better than ever for this year as it now is available in several color options and a petite version. I love mine so much that I decided to purchase the petite size. Well last week I saw that the yellow had been restocked, and I grabbed it up in a second! She arrives yesterday, and I'm obsessed. 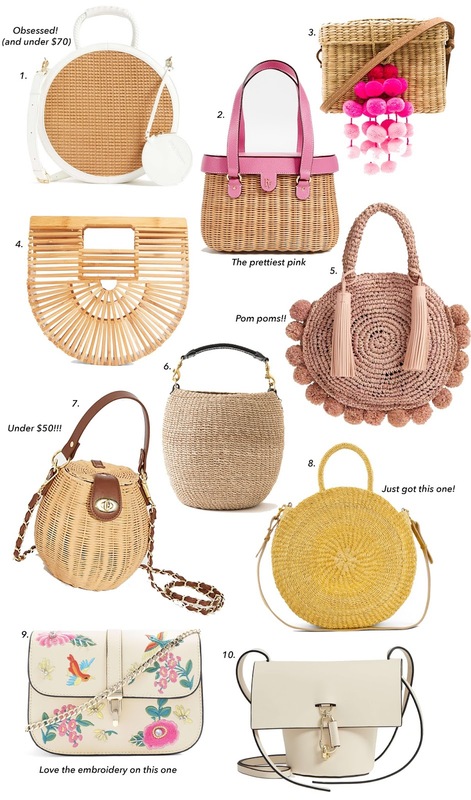 If you're not wanting to pay the price of a Clare V. tote or another designer straw bag, don't worry because there are so many adorable options for a much more affordable price (and are just as cute). The great thing about straw and wicker bags is that you can usually find them reasonably priced. For instance, I just ordered this one last night that resembles this designer version. Isn't it adorable?! And if you see the list above, how absolutely darling is this rounded market cross body bag! It's under $70, and I absolutely love the looks of it. A few other affordable options are this straw honey pot style (under $50) and this wicker picnic basket style (under $80) as well. 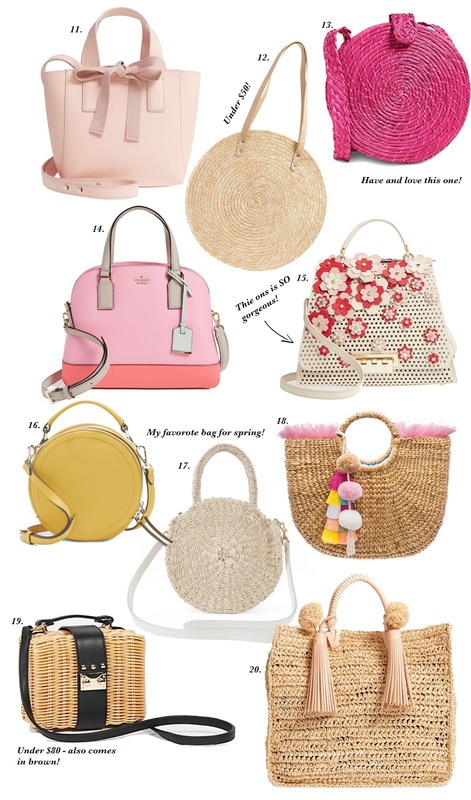 Have you found any cute bags you're loving for spring! I'd love to know. Thanks for stopping by and have a great Wednesday. Hey friends! and Happy Friday (TGIF)! 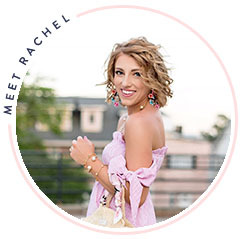 Today I'm here to share with y'all the most stunning dress for spring and talk about an amazing sale going on at one of my favorite stores. Be sure to make it all the way to the bottom of this post, because I'm chatting about a few of the pieces that I picked up in the store. First things first, how gorgeous is this floral satin shift dress?! I saw it online and scrolled right past it, because I didn't love it. When I saw it in store, that all changed. I feel that happens often. But when I saw this dress in person, along with the other pieces I picked up, I felt totally different about them. Anyways, this dress is not as bright of a blue (closer to a navy blue) in person. I'm wearing the XS petite here, and opted to put a belt with it. I felt like it would be nice to add some structure to the dress, being 5'2. I just love it belted! The colors are so vibrant and beautiful. 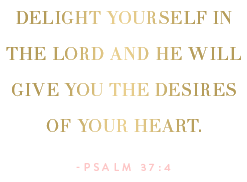 It's more than perfect for church, work, date night, luncheons, showers and so much more. The best part if that it's included in the huge sale happening right now, making it under $60. As I mentioned, I also am going to share some other adorable pieces that I picked up in the store. Everything included on this style board is 40% off (under $60) with the code NEWNOW. I'm also going to list this things I picked up underneath this photo. I adore this one! The sleeves are so darling. It reminds me of a top I purchased from here last year and got tons of wear out of. It's so soft and has a rounded hem (which means you can easily knot it) :) It comes in three colors. I got the powder blue. This one is on sale for $23. I loveee this top so much!! When I saw it in person, I fell in love with the details. Sizes are going quickly for this piece, so if you love it, want it and see your size, definitely grab it up! I tried it on with jeans and my pink wedges. It looked adorable! It's on sale for $35. I think it's a great idea to have a navy top in your closet, no matter what season it is. This one is too cute with the cold shoulder and ruffles. I love that the sleeve is fitted, so the combination of the flowy ruffles and the fitted sleeve give it such a great silhouette. It is on sale for $23. This one is too cute for words, with the fringe detail on the ruffle sleeves. Again, online I did not notice the fringe detail on the sleeves, but in person it's the first things that caught my attention. I love it paired with white jeans and add a statement earring for a pop of color. It's on sale for $20. This one is a bit different from anything I've had so far, but I just loved the colors. They're so bright and just scream spring. It's definitely a flowy top, so I front-tucked it into jeans (or white jeans) and added a belt for the finishing touch. It's on sale for $35. This one is just as adorable as the name implies. Again, I overlooked it online but loved it in the store. This oh-so-soft tee is perfect for tucking into skirts or front-tuck into your jeans. But the swiss dot flutter sleeves are what make this piece a true winner. It's seriously adorable and is on sale for $23. I think I've raved over these jeans more than enough haha, but I had to list them here since I ended up purchasing them for a second time in my regular size. I had originally gone up one size and felt that they ran small. But after I wore them multiple times, I changed my mind on that and decided I needed my regular size. These are the cutest and best white jeans ever! They come in petites and regular sizes. Trust me when I say that you don't want to miss out on these :) They're on sale for $47. Well, that's about it for today! Did y'all pick up any spring goodies from the sale? !